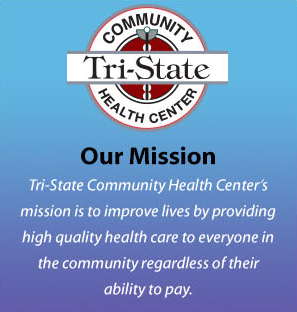 Tri-State Community Health Center participates with most insurances and accepts Medical Assistance and Medicare. We have a sliding fee discount program for those who qualify, and we will work with patients to set up a payment plan if necessary. Your payment is due at the time of service unless other arrangements have been made.